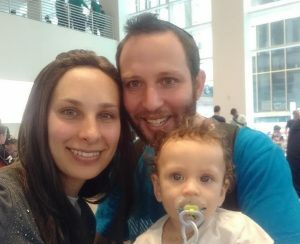 Shapell’s/Darche Noam is excited to announce that the third annual David Shapell z”l Memorial Married Couples Fellowship has been awarded to Adam and Yocheved “Chevie” Musnitzky of Johannesburg. This extraordinary couple will spend the 5779 (2018-19) academic year studying at Shapell’s/Yeshiva Darche Noam and Midreshet Rachel v’Chaya, which will include participating in special classes and programs designed for young married couples. This prestigious fellowship will provide their full tuition and subsidized housing, thus allowing them to spend their year focused on their academic, spiritual and leadership growth. The Musnitzkys have already distinguished themselves as leaders in their native Johannesburg. Adam, a graduate of Yeshiva College and the University of the Witswatersrand, spent over a decade in leadership positions in Bnei Akiva. This included being their Camp Director and being deeply involved in their many informal education projects. He also spent five years as the Director of Informal Jewish Education at the King David Schools. More recently, he was the chairman of the Or Zarua Young Adults minyan and the founder of “I Heart Jew,” an organization dedicated to helping Jewish singles find their match. Despite his long and impressive record of communal leadership, this will be Adam’s first long term, intensive yeshiva experience. He is looking to the make the most of his time studying, and then to take what he has learned to make a profound impact on the community. Yocheved, a graduate of Beth Jacob Girls High School and the University of the Witswatersrand, is a former Vice Chair of the South African Union of Jewish Students and a counselor at Gan Israel. She also organizes classes at the Keter Torah shul. She previously spent a summer at Midreshet Rachel v’Chaya, and is excited to return as a married woman with lofty goals of using the knowledge and skills she will gain to not only benefit her family, but also the Jewish People. She dreams of revolutionizing high school education for girls. Adam and Yocheved, the first couple from South Africa to receive the fellowship (but far from our first South African students), said that they “are honored and feel very privileged to have received the Shapell’s Fellowship and are very excited for the opportunity.” They look forward to all that they (and their young son, Yonatan) will gain from a year focused on their family’s Torah and leadership growth. The Musnitzkys are true stars with unlimited potential. We still need help from our generous alumni and friends to fully fund their fellowship year. Please email Avrom Suslovich, avrom@darchenoam.org, to make your commitment.